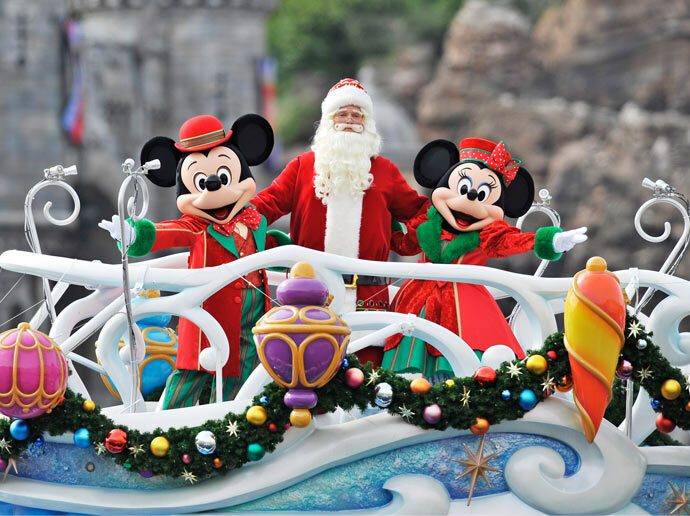 From November 8 up to December 25, Tokyo Disney Resort will offer its guests a special holiday events; Christmas Fantasy at Tokyo Disneyland and Christmas Wishes at Tokyo DisneySea. As both parks join in the festivities, a multi-day visit to the resorts is a must. 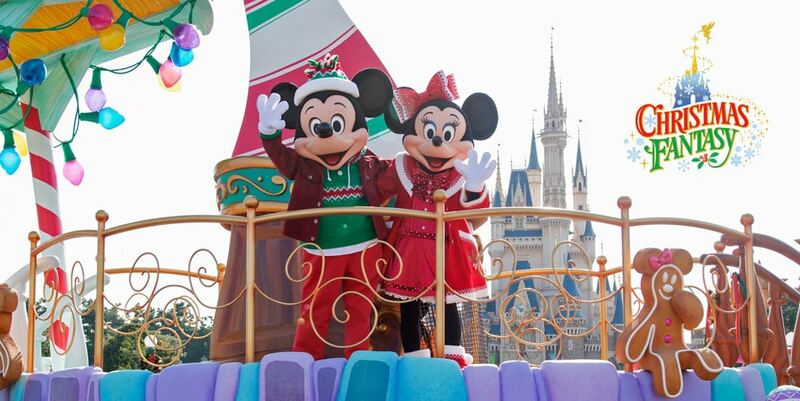 Christmas Fantasy at Tokyo Disneyland will transport guests into a storybook filled with the Disney Friends’ Christmas fun. Each night “Disney Gifts of Christmas” will take place on the Cast Forecourt. This new nighttime entertainment is themed to gifts that Mickey Mouse and other Disney Characters bring for Christmas. Enchanting holiday scenes of the Disney Friends are projected with a colorful, illumination-like effect onto Cinderella Castle. Familiar music of the season helps create a heartwarming world of Christmas. This nighttime entertainment will take place once to twice daily, for 15 minutes. 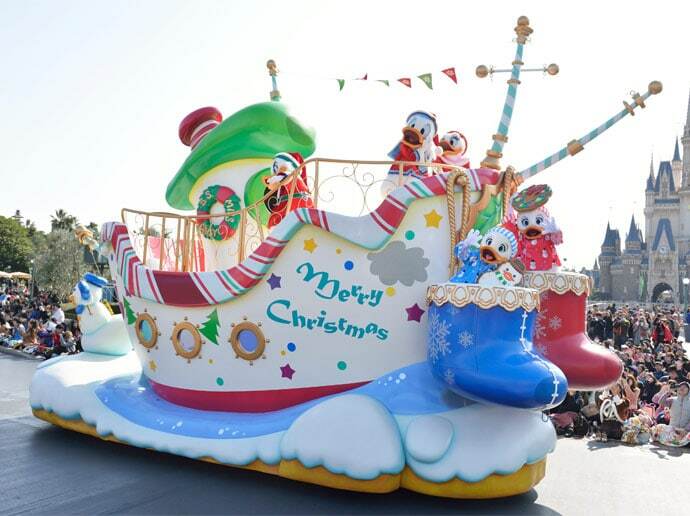 For the holidays, Tokyo Disneyland is also host to a Christmas themed parade. “Disney Christmas Stories” is themed to seven stories of the Christmas that the Disney Friends spend with their dear ones. Heading the parade is a float with Donald Duck dressed up as Santa Claus. 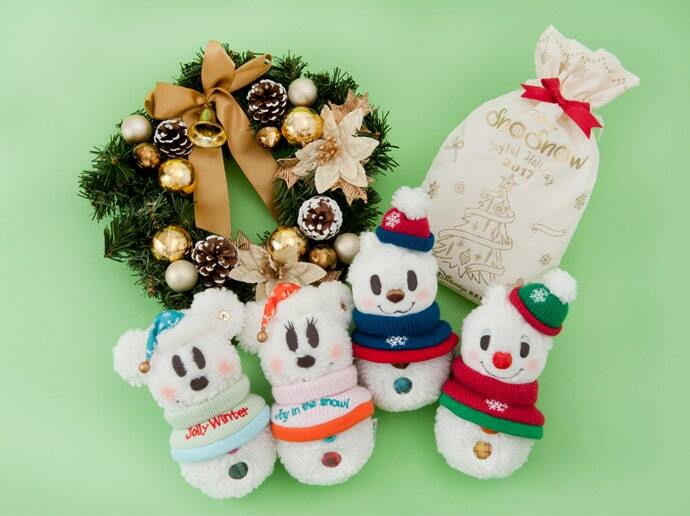 He is joined by Daisy Duck and his nephews as they enjoy Christmas at home. The other floats also feature the Disney Characters enjoying Christmas. The parade can be seen twice a day along the parade route. The parade takes about 40 minutes. When guests enter Tokyo Disneyland will be greeted by an indoor scene of Mickey Mouse and friends preparing for the big Christmas party. At the Plaza, guests can enjoy various scenes of Disney friends sharing Christmas in their own special ways. What is a day to a Disney park without fireworks? 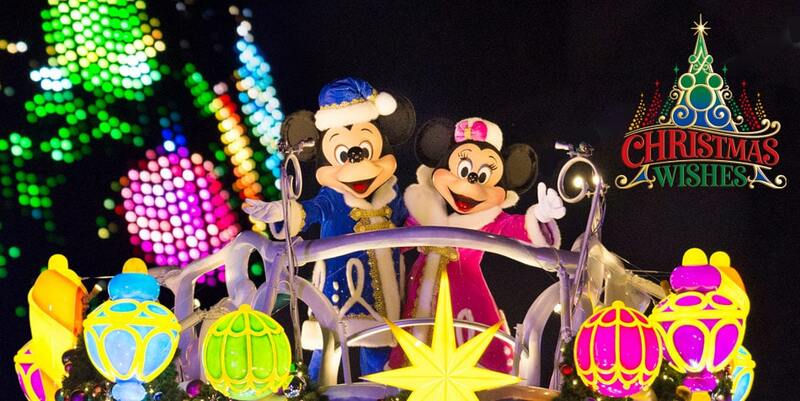 Also these holidays Tokyo Disneyland will treat guests on special Christmas themed fireworks. The firework show will be held once daily and the duration is about 5 minutes. Guests will have the opportunity to experience Christmas in many different ways. Special Merchandise will be sold at various locations throughout the park. Much of this special merchandise is only available in limited quantities and can therefore sell out. Various restaurants will offer special themed menus and dishes. Refreshment Corner and Captain Hook’s Galley at Tokyo Disneyland will offer dishes inspired by the colors of the season that are perfect for eating on the go. Plaza Pavilion Restaurant and Grandma Sara’s Kitchen will serve special sets ideal for a Disney-style Christmas party with family and friends. Guests dining at Camp Woodchuck Kitchen in Westernland will also be able to enjoy the Christmas mood, as Camp Woodchuck will feature Christmas elements for the first time. 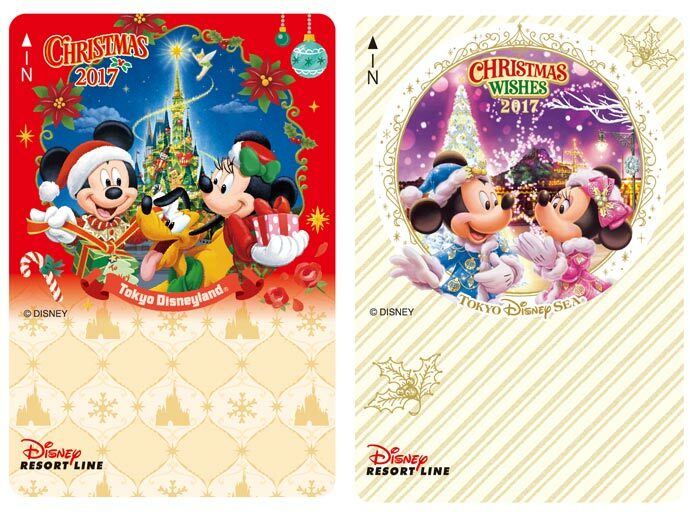 Both parks at Tokyo Disney Resort receive lots of Christmas love, and as such Tokyo DisneySea is host to its own holidays event; Christmas Wishes. At the Mediterranean Harbor once a day guests can experience Colors of Christmas, a nighttime entertainment fantasy presented on the water. This show features a 15 meter tall Christmas tree. This year, the show will be presented with a new effect of snow falling all around the harbor. Mickey Mouse and his Disney friends will be dressed in new costumes with Christmas ornaments. 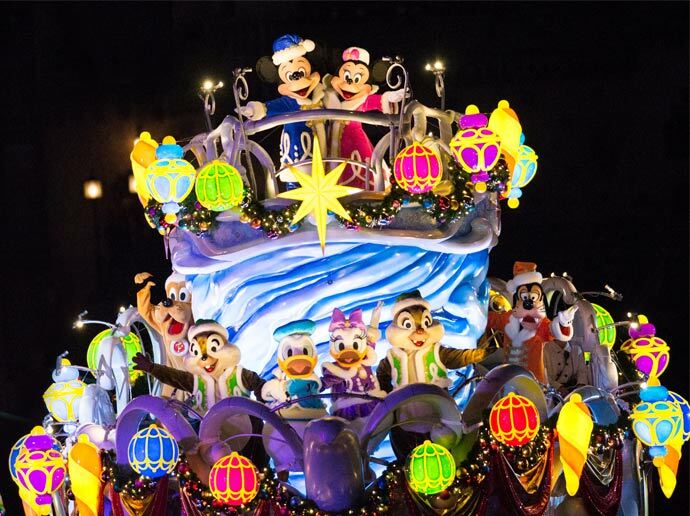 Gelatoni and Duffy’s newest friend, StellaLou, along with Genie and Abu, will make their first appearance in this show enhancing the holiday spirit even more. Also taking place in the Mediterranean Harbor is “A Perfect Christmas”. This entertainment program takes place 3 times a day and will bring you Mickey Mouse and his Disney Friends who will share their joys of Christmas. This year, the show is presented with a new scene featuring Daisy Duck and Christmas confections. As the show begins, happy Christmas music fills the air, building a sense of anticipation. The Disney Friends share the joys of Christmas, including Christmas trees, music and other holiday delights that they express through song and dance. Throughout the park guests can see different decorations. Each of the themed ports in Tokyo DisneySea will be decorated for Christmas in a unique way with illuminations. 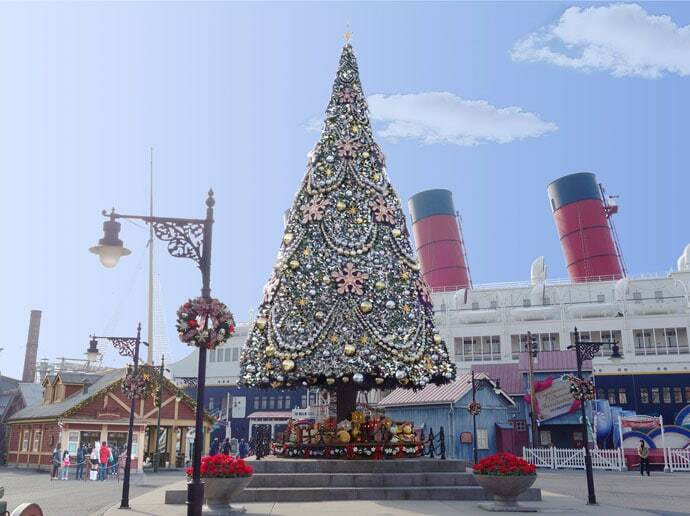 In front of the luxury liner S.S. Columbia there will be a Christmas tree approximately 15 meters tall. This year, the Christmas tree will be covered in snow, enhancing the holiday atmosphere even more. Waterfront Park will again feature “Snow Crystal Illumination”. 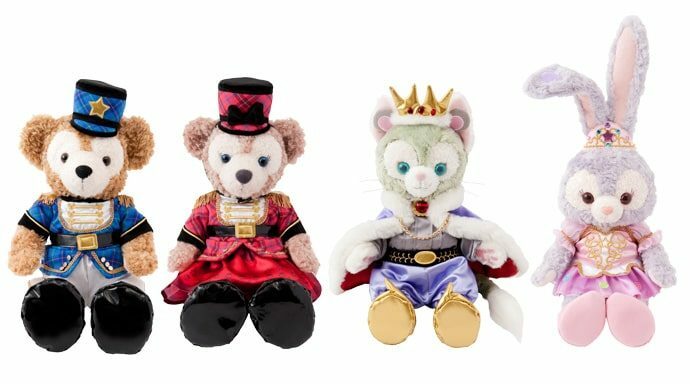 Tokyo DisneySea will have its own special Christmas merchandise with 25 types of special merchandise designed with Duffy and his friends. Items will feature themes of ice skating and the story of the Nutcracker ballet. Also for the hungry guest several Christmas inspired menus are available. Yucatan Base Camp Grill at Tokyo DisneySea will offer set menus just right for Christmas that can be enjoyed together with the illuminations of “Fiesta de la Luz.” Cafe Portofino will serve a colorful pasta dish perfect to share with someone special, while at Hudson River Harvest, Guests can enjoy items enhanced with cheese in addition to baked potato and chicken. 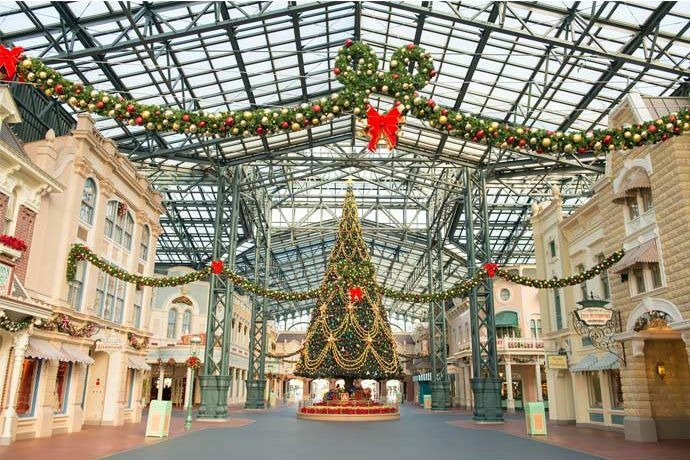 The Disney hotels (Disney Ambassador Hotel, Tokyo DisneySea Hotel MiraCosta, Tokyo Disneyland Hotel, and Tokyo Disney Celebration Hotel) will be host to decorations making sure that guests will experience Christmas at the parks and at the hotels. Several hotels also feature special menus inspired by the entertainment program; Christmas Fantasy.